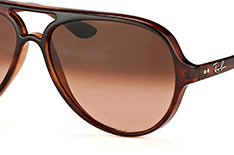 Get that chic 80s look with these cool brown sunglasses by Ray-Ban. 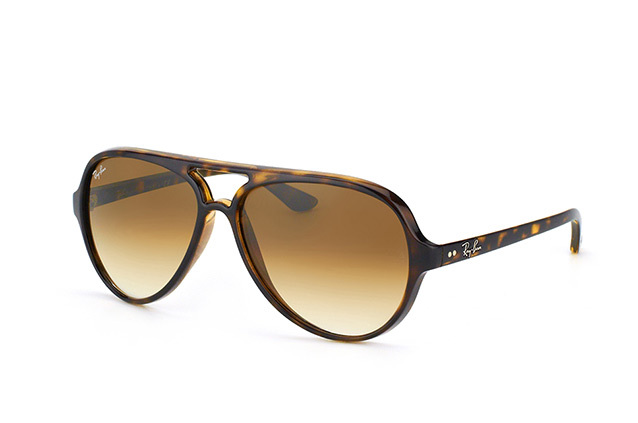 The Ray-Ban Cats 5000 RB 4125 710/51 sunshades are so simple to slip into your suitcase for a holiday in the sun. 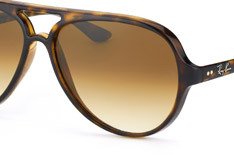 These are unisex sunglasses, and the stylish brown frames are matched by brown gradient lenses. 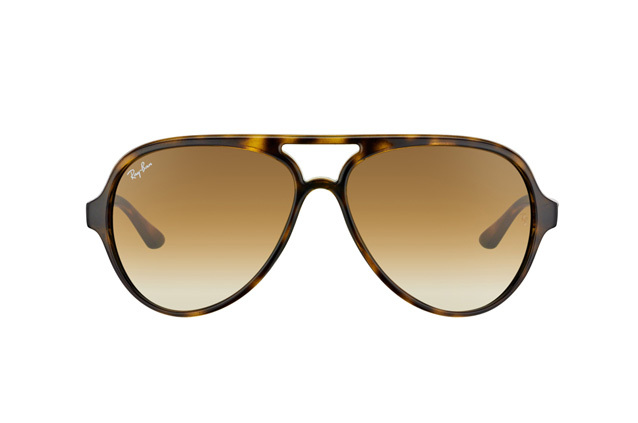 As well as looking great, the lenses have a UV 400 filter to them which ensures that these sunglasses will protect your eyes from the sun's UV rays. 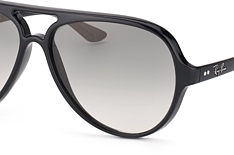 These sunglasses are made from light yet sturdy plastic, meaning that you will not feel them weighing you down when you wear them (in fact, they weigh just 32g), but you can rely on them to last you through many summers in the future). 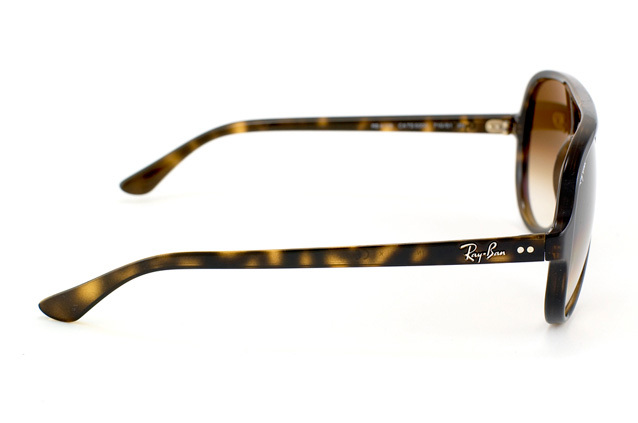 If you order your new pair of Ray-Ban Cats 5000 before 2pm, we will ship them out to you the very same day. If you want to track your order as it makes its way to you, that's no problem: we use DHL's swift and traceable service.